Exporter of a wide range of products which include din flanges. 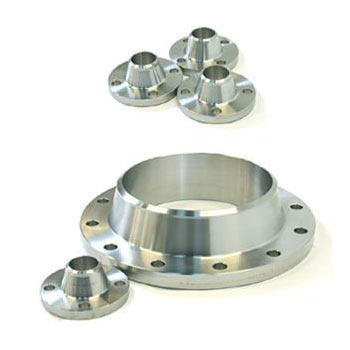 We have with us a range of DIN flanges that includes welding neck flange, slip on flange, threaded flange, socket welding flange, blind flange and others. Our range is sourced from the trustworthy vendors of the industry to ensure superior quality to the clients. Further, our range is quality tested at our end before passing it the clients. Types: Welding neck flange, slip on flange, threaded flange, socket welding flange, blind flange, orifice flange, ring joint flanges, long flanges, screwed flange, lapped joint flange, reducing flange, spectacle flange.